Season 1 Episode 10 - Connecting with his community’s values by listening to his neighbors allows Dan Winston to not only be a better elected neighborhood commissioner and GM of Spin’s Washington DC operations, but also to share and gain buy-in for important transportation policies like Vision Zero. Season 1 Episode 9 - Columbus, OH is struggling with high downtown office vacancy rates. Cleve Ricksecker has the answer: let the private sector lead by distributing 45,000 free bus passes to downtown workers, promoting economic integration and delivering an 8% mode shift. Season 1 Episode 8 - Beth Osborne of transportation advocacy nonprofit Transportation for America gives a roadmap forward to overcome federal USDOT regulations that incentivize new projects over maintaining existing systems and high speed travel over local economic activity. WHAT IT TAKES TO BUILD "MOBILITY FOR EVERYONE"
Season 1 Episode 7 - From college dropout to transit lifer, Mark Donaghy’s path to CEO of the Greater Dayton RTA has shown how empathy for customers and employees informs how GDRTA weaves public sector, private sector, and bikeshare together to serve the entire community. Season 1 Episode 6 - Sure, traffic bites, but sustainability consultant Robin Rather says framing a transit referendum that way ignores a more impactful frame: transit as key to economic security, ensuring that we are investing the most in those that need the most. Season 1 Episode 5 - Whether it’s scooters, Uber, or zoning, Mary-Ann Baldwin learned from her time as a city councilor that communities have a hard time anticipating change. Learn her advice to combat this barrier, starting with a lesson her dad shared with her at age four. Season 1 Episode 4 - If we really want to effect change, we have to attack the root cause. Join Hayling Price of social sector consulting group FSG as he shares lessons from other industries that we can apply in mobility. Hint: we’re doing the public meetings wrong. Season 1 Episode 3 – Jim Aloisi, former Massachusetts Secretary of Transportation, shares how his merry band of “transit geeks” at TransitMatters (where he is a board member) gets in the weeds with a unique brand of technical advocacy providing practical transit solutions. Season 1 Episode 2 – What’s the secret to successfully piloting a regional transit system serving millions of riders annually? For Tri-Delta Transit (California) CEO Jeanne Krieg, it’s humility, a clear definition of priorities, and knowing that she has to live with every decision she makes. Season 1 Episode 1 (Trailer) – We're excited to announce The Movement, a podcast hosted by TransLoc National Director of Policy Josh Cohen. Every week, Josh will interview the brave leaders in the mobility space who are making decisions about innovation in order to create the vibrant, equitable, and sustainable cities of our future. Take a listen to the trailer of The Movement below, then be sure to subscribe to the show through the podcast platform of your choice. The Movement will debut February 27, 2019. TRANSCRIPT OF THE MOVEMENT TRAILER: As we look to mobility solutions for the City of Tomorrow, there are billions of dollars being spent on technology like microtransit, Uber and Lyft, scooters and bikes, and electric and autonomous vehicles. While critically important, technology is not the only solution. We also need to invest in the people who are making the brave decisions on how to build the green, equitable, and accessible future we desire. We won’t make these big changes if we don’t ask the tough questions. Join me in a podcast about what, and who, it will take to build the future communities that we all want to live in. My goal is to not only profile successful leaders effecting change in their communities today, but build a diverse coalition of leaders who will make tomorrow real. The Movement, a brand new podcast from TransLoc, will be available February 27th. Subscribe now and listen for free. Find out more at transloc.com. Want to make sure you don't miss an episode? Sign up to receive an email whenever we release the newest conversation! Mobility is an essential component to the vibrant, equitable, and sustainable cities of our future. To build this future, we need to do more than invest in technology. We need to invest in the people who will make the hard decisions around transportation, land use, housing, economic development, and other aspects of urban life. Josh Cohen, National Policy Director at TransLoc, started that conversation by building relationships with and sharing ideas from today’s leaders who are imagining and implementing change. He will profile leaders who are doing the heavy lifting to make our communities better and inspire new ones to supplement them. Together, we’ll build The Movement with the goal of sparking tangible change in our communities. Want to learn more about the conception of The Movement? Josh explains more here. Josh Cohen is the host of The Movement and TransLoc's National Director of Policy. Beyond the multi-syllable words in his title, this means he touches pretty much everything that goes on at TransLoc, a remnant from Josh's experience as one of TransLoc's earliest employees. 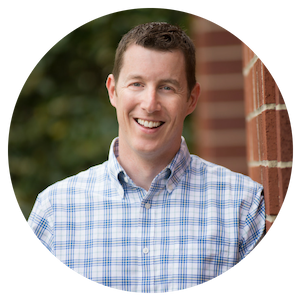 For seven years, Josh helped TransLoc grow from 5 customers to 120 customers as TransLoc's Director of Business Development. Prior to TransLoc, Josh was CEO of DomoLife, a real-estate services business, and VP of Turnkey Sports, a sports business consultancy. When not chasing his three kids around the Bull City, North Carolina, Josh enjoys roasting his own coffee and smoking his own barbeque.